Kim said of her sister: “No one wants you in the f****** shoot. Get the f*** out of here and go. Kourtney, 39, stormed off but the row continued over the phone. 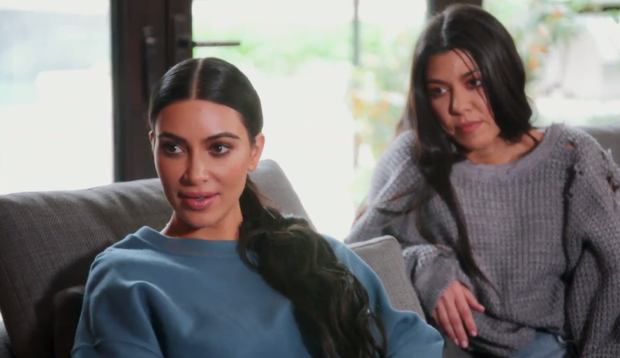 Talking to Khloe, 34, on speakerphone, a crying Kourtney said: “Kim saying that I’m the least interesting to look at – who even speaks like that? You don’t say things like that. You guys just have really different values than me. Kim apologised but then launched another foul-mouthed tirade against her sister. Eventually, Kim rearranged her meetings to accommodate Kourtney and the Christmas card photoshoot went ahead. But the row was not over and Kourtney refused to go to Kim’s baby shower a few days later. During the show, the sisters continued their argument on Twitter.